Attitudes to car ownership in London are slowly but surely changing but much more needs to be done to encourage a switch to car usership to cut pollution and congestion. 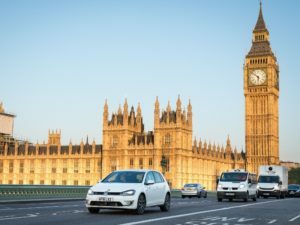 That’s the finding of a new report published by Zipcar and backed by Professor Frank Kelly, Professor of Environmental Health, King’s College London. The report, the first of a new series, surveyed more than 2,000 Londoners including a mix of car and non-car owners and found nearly half of 18-34-year-old Londoners (47%) have tried car sharing at least once, versus 24% of 45 to 54-year olds. And uptake of Zipcar, claimed to be London’s largest car sharing network, is increasing, with the firm reporting a 65% increase in the number of new memberships in Jan-Aug 2018, compared with the same period in 2017. To access the Zipcar report, click here.